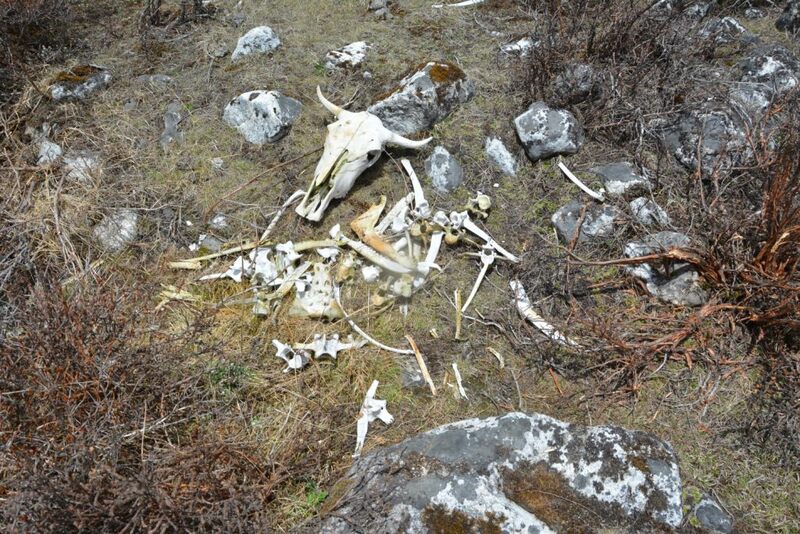 ​Livestock depredation by snow leopard is a primary source of conflict with humans. This causes substantial losses to herders and often results in retaliatory killing of snow leopards, which threatens their survival across Central Asia and the Himalayas. Innovative and practical tools are thus needed to more directly mitigate human-snow leopard conflicts and conserve this endangered species. One of the most cost effective and efficient solutions to reduce human-snow leopard conflict would be to use a predation risk modelling approach to identify locations where snow leopard is most likely to kill livestock in a landscape based on previous kill site data and avoid livestock losses to snow leopard by adapting livestock grazing on areas where snow leopard is less likely to kill. Risk models also produce visual maps of the gradient of livestock depredation (predation risk maps) and can be used as a tool to assist communities and managers in guiding livestock grazing. 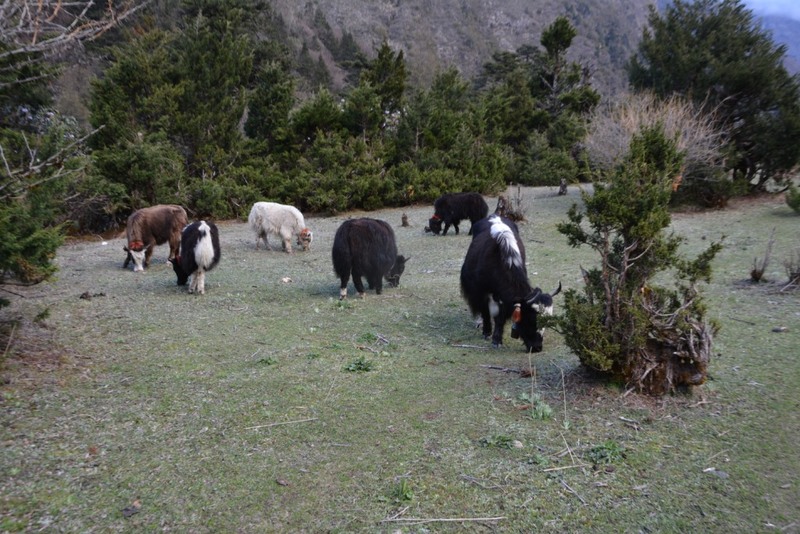 This project aims to develop livestock depredation risk maps that can help herders visualize the gradient of livestock depredation risk and adapt livestock grazing to reduce their livestock losses to snow leopard. The project also aims to work with stakeholders to explore the ways to integrate risk maps into conflict management decision making process and build their capacity to use risk maps as a human-snow leopard conflict management tool. Viable population of snow leopard depends on healthy and abundant population of their natural prey species such as blue sheep (Pseudois nayaur) The decline of wild prey populations, largely due to competition with livestock for food and space, has been identified as one of the main threats to the survival of endangered snow leopard. Because reduction in natural prey populations can have direct negative consequences on snow leopard’s survival, it is necessary to understand whether the extant livestock grazing reduces the population productivity of its principal wild prey, the blue sheep (Pseudois nayaur). This project therefore aims to quantify and compare the forage availability, its quality and population productivity (number of kids/100 adult ewes) of the blue sheep in livestock grazed and non-grazed pastures of the Api Nampa Conservation Area, Nepal to to better understand the impacts of livestock grazing on blue sheep’s ecology. The results of the project will help design appropriate strategies for sustainable management of alpine rangelands for both snow leopard conservation and pastoral livelihood. ​We are conducting detection-non detection survey of snow leopard signs to understand spatial distribution of snow leopard populations. 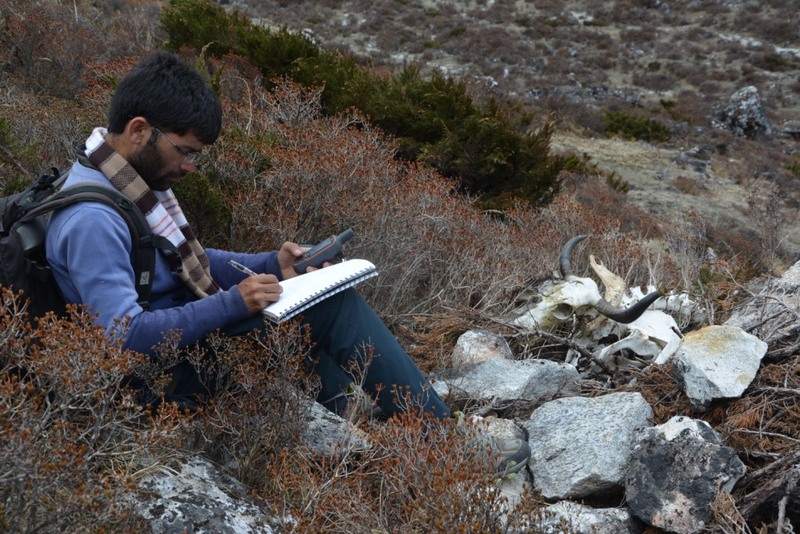 We aim to assess the ecological and anthropogenic determinants of fine scale distribution of snow leopard populations. We have been able to collect baseline information on snow leopard distribution, blue sheep population and local people’s perception towards snow leopard conservation. Building upon the results of this project, we aim to continue monitoring of snow leopard population using camera trapping survey. We also plan to continue building capacity of local youths and frontline staffs of the Api Nampa Conservation Area (ANCA) on snow leopard monitoring techniques, which will enable the ANCA authority to collaborate with local community and initiate community based citizen science approach to long term monitoring and conservation of snow leopards and other wildlife in the study area. There is recent evidence that fishermen in the study area has perceived decline in their fish catches (The River Dolphin Trust unpublished data). 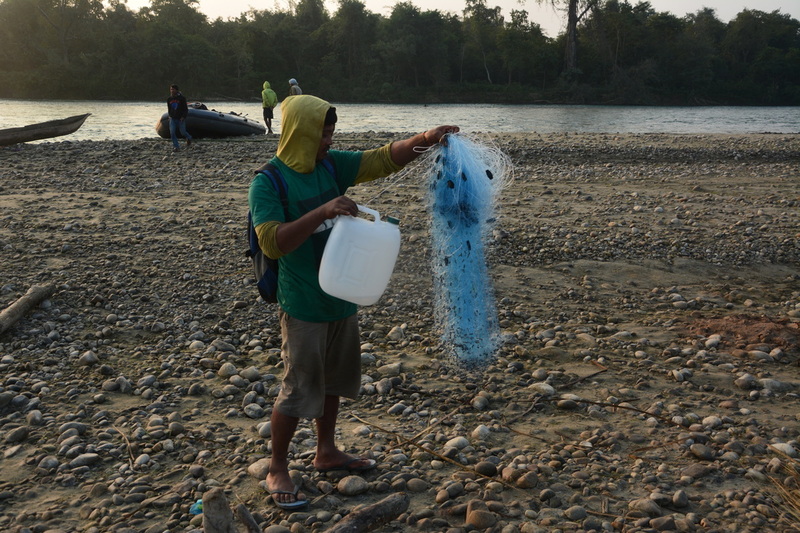 Although how well such fishers perceptions match with on-the ground reality has not been studied, it is quite clear from this information that such perceptions or experience have allowed fishers to respond often by using the fishing gear and methods that are destructive to ecosystem. Use of modern fishing gears may increase risk of by- catch of river dolphins in their fishing gear. Understanding how fishermen respond to decline in fish catches (in terms of fishing practices and fishing area) and their willingness to adopt sustainable fishing practices is crucial for designing appropriate strategies for conservation and management of riverine habitat for endangered species (river dolphins and crocodiles) and sustainable fishery. However, there has been limited information about when and how fishermen respond to decline in fish catches and how their responses relate to the risk of river dolphins by-catch in fishing nets. With this background, this project aims to gather critical scientific evidence that will feed into the development of management strategies for both river dolphin conservation and sustainable fishery management.